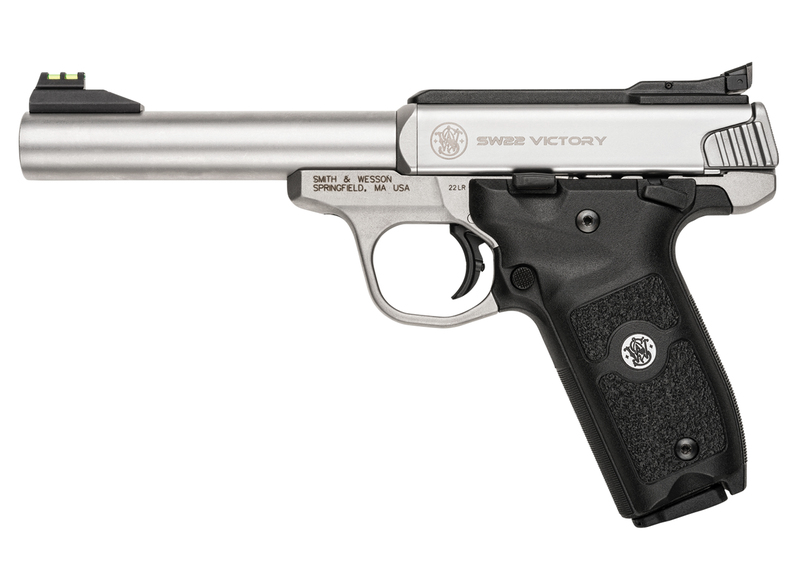 New for 2016, Smith & Wesson has released the SW22 Victory. This gun is described by S&W as a cross between the Model 41 and the 22A. This comfortable grip design, fiber optic front sight, and interchangeable barrel design are sure to make this gun a hit with outdoor enthusiasts and target shooters alike.